Wile riding my bike to work this morning I had one of those life changing moments when someone tried to run me off the rode then honked their horn at me as they did so. I was in there way and they were probably late for work. This wasn’t some masked stranger but a neighbor who probably didn’t recognize me. At the time I didn’t think too much about the exchange, but the events of my day brought it to light. Every simple kindness, every thank you, gratitude, they are ripples in the ocean that turn into waves. Opening that door, smiling, giving praise, these simple things build us up and come from our heart. Being a better hobbit doesn’t cost anything, except, maybe, thirty seconds of our day to be considerate of others. Keeping up appearances does not stave off evil, or make us better, more earnest, human beings. The daily struggle to be happy, to think of others takes energy, but it also gives back. When you smile and say thank and it’s returned your battery is recharged, you become lighter on your feet and ready to move on. 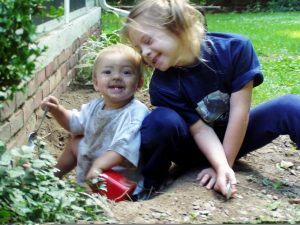 When we think of inclusion we think of just the special kids and forget we are all different and that the small kindnesses we give each other all small microcosms of inclusion. Find me a better movie that touts the benefits of inclusion more then the Hobbit and the Lord of the Rings. A small “half ling” joins a band of dwarfs who don’t have a home with a large wizard. They are eventually joined by humans and elves. All these beings are very different and it’s only as they get to know each other do they discover that through all their differences these pieces make a whole and they fit together like a beautiful puzzle. As we strive to get though each day think not of how you can make the world a better place, just be nice. Raise the bar for humanity by being a normal person who thinks of others. The simple things do matter, and they matter most when we are at our lowest.